Are you looking for an online program to improve your child’s learning skills? If that is so, Louisianapass.org might be the right site for you to visit. The Louisiana Pass is a web-based program created for Louisiana students to take practice tests and also learn new skills. 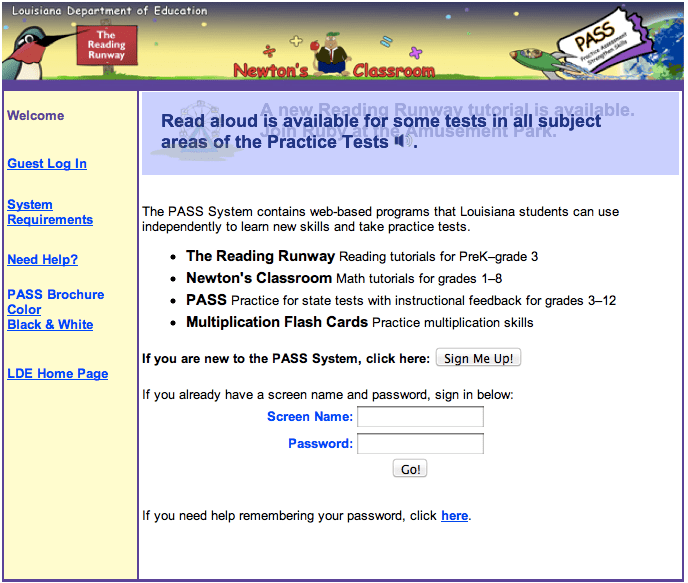 Some of the tests available on Louisianapass.org include reading tutorials for PreK-grade 3, Math tutorials for grades 1-8 and practice for state tests. In addition, the site offers flash cards to improve the child’s multiplication skills. This site is free for Louisiana schools, but if you are not a student and you want to explore these programs, you can sign in as a guest. Besides, Louisianapass.org has Math games and downloadable multiplication tables. Is your children having problems with Maths? Do you need online practice tests for school students? In that case, you should visit Louisianapass.org and check the wide variety of online learning programs and tutorials they have to offer.